September 13, 2017; Reading, England: Following on the recent summer announcements that Global Premier Soccer, one of the largest youth soccer clubs in the world, has announced an extensive partnership with Valencia CF, one of the most prestigious soccer clubs in Europe, comes the announcement that Global Premier Soccer United Kingdom (GPS UK) will become the third region to benefit. 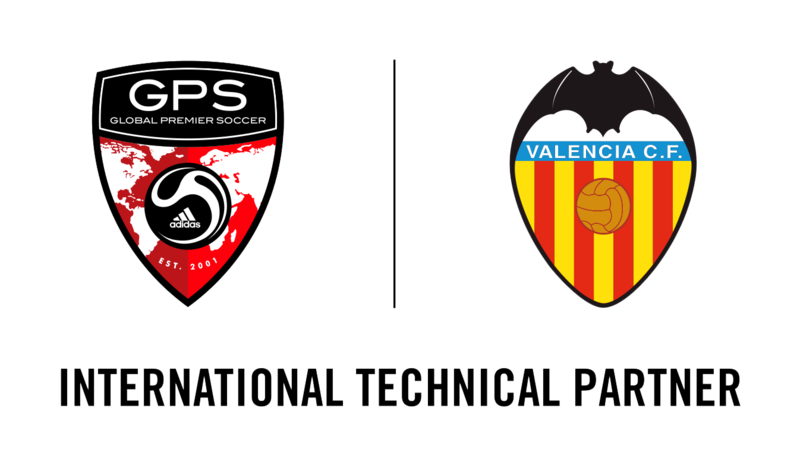 Having launched in Greece, Cyprus and Bulgaria during the summer under the Global Premier Soccer South East Europe (GPS SEE) banner and separately announced Global Premier Soccer Spain (GPS Spain) as an affiliated club, this exclusive international partnership will launch initially for GPS UK in the South of England and will provide access to the famed Valencia CF Youth Academy. Plans are well under way to extend the GPS footprint across a number of UK locations over the next 3 years. One of Spain’s most successful clubs, Valencia CF was founded in 1919 and have won 6 La Liga titles, 7 Copa del Reys and 3 UEFA Cups and reached back to back UEFA Champions League Finals in 2000 and 2001. Valencia is the third most supported football club in Spain and one of the biggest clubs in the world in terms of number of associates (registered paying supporters), with more than 50,000 season ticket holders. Valencia CF has developed the talents of a number of world champion players via its Youth Academy such as David Silva, Isco and Jordi Alba. This partnership solidifies Valencia CF’s commitment to engaging the International soccer community. Through GPS’ global expansion, Valencia CF’s Youth Academy will have access to GPS programs and players as new GPS territories are added. Valencia CF programs will initially focus jointly on providing Professional Development for GPS coaches and impacting ID programs used to identify players who will attend a Training Camp in Valencia each summer. Valencia CF will also work with GPS to establish Valencia CF Regional Teams who will compete in National and International events. Additionally, the partnership will see collaboration on International Tournaments and Tours. GPS Spain will also immediately benefit from the relationship with the launch of the new GPS International Academy based at La Petxina in Valencia at the start of September. Luis Vicente Mateo, Head of Youth Academy at Valencia CF noted, “The soccer education of a top professional player starts at a very young age, which is why it is important to provide kids with exceptional training early in their development, as we have done at Valencia CF’s Youth Academy for decades. We are excited to partner with GPS, a leader in the youth soccer space, on this first of many initiatives we will be undertaking to foster a deeper connection with young players internationally”. Philip Mitchell, GPS Director of International Projects added, “Valencia CF has a great track record of producing talented professional players and when you see their Academy, you can see why. We are excited and looking forward to the impact of this partnership on our players throughout Europe”. “We are thrilled at this new partnership with Valencia CF”, exclaimed Neil Holloway, GPS UK General Manager. “Having Global Premier Soccer and Valencia CF working in partnership in the United Kingdom is going to provide not only a world class methodology through Valencia CF but, significantly more opportunities for all players and coaches, and will enhance our ambitious expansion plans for GPS UK”.